I'm doing my annual "goal planning" this week and took some time to review the past few years goals (and success rate) and it isn't pretty. My goals are a combination of personal (fitness, finance, charity, vacation etc) and professional goals. clearly, 2006 was a great year, but I've been sliding hard since then. Coach sports (specifically spring/fall softball and winter basketball). I also helped out with all-star softball and recently started a coaching blog. I'm feeling like I need to totally retool my goals for 2009 and in someways, up the ante a bit. In case you are curious, my process includes an important step of writing down a purpose for each goal and culling the master list each year down to about 10 priority goals for the year. I guess I've been revisiting my own ideas on virtual worlds and the immersive internet these past few months and picked up a copy of Castonova's "Exodus to the Virtual World" to see how things have been evolving since reading his first book "Synthetic Worlds." It is my opinion that his first book was quite a bit better, although this book does really expand on where virtual worlds are headed in more tangible ways. 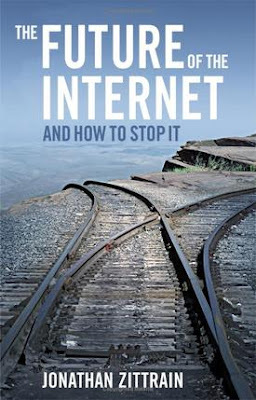 The book is really interesting, if not way out there. While the idea of people "migrating" to virtual worlds seems (and feels) odd to me, Castronova makes some extremely compelling and interesting points given from an economist's perspective of the world. That said, I'm not so sure his core concept is valid. It would help me if I were a social scientist and had any sort of knowledge to validate or debunk his thesis. For scale's sake, Castronova points out that "when 100 million people do something" governments need to take notice. He speaks a lot about "policy making" in the virtual world and does a good job outlining the core areas needed for good policy both in the real, and virtual world. The main point of the book however, is simple. 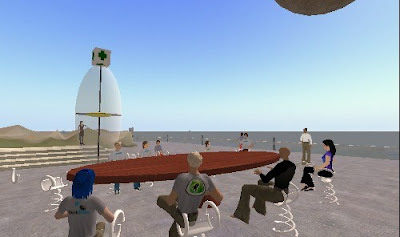 If people can get a better quality of life by inhabiting virtual worlds, they'll do so - and en masse. A few things jumped out at me as I read the book, presence being one of the stranger concepts to grasp I thought. What exactly is presence when inhabiting a virtual world? Perhaps "attention" is a better way to think about presence - that is to say that what you are focused on is actually where you are at any given time. The phrase "gaze is location" was a bit of a mind trip for me. "New employees wouldhave to work their way into the company just as new players work their way into games: they start at low levels and work their way up." "They acquire reputations as good drivers, good mechanics, good forklift operators. Once they get enough points, they are allowed to look for bigger jobs at a different loading dock." "Management would organize all this activity by stating when and whre it would give out points." "In general, a company organized along these lines would operate the weird emergent order that one sees in games. Instead of ad hoc bands of one hundred people marching more or less after one another the other into a dungeon to do battle with a dragon and get treasure, it would be ad hoc bands of workers gathering more or less where and when needed to perform some work task to which explicit rewards had been attached." I'm not sold on that vision, but it is extremely compelling to think through. I have the answer! I really do. But I want to lay out some ideas before dropping the bomb on you. In reality, I have very little car experience. Never marketed a car, built a car or designed a car. That said, I've paid for CV boots, brakes, tires and once, an entire new front end. I've wrecked a few cars (no one hurt), and certainly spent plenty of time at the gas pump. I have washed cars occassionally, but don't like it that much. I'm not a huge car nut. My brother fills that gap in our family. I did once subscribe to Car & Driver, but only for a short time. 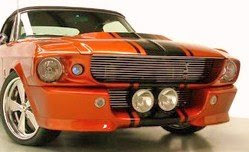 I tend to view cars as a depreciating asset, but I do trip out when I see a really cool looking ride. I actually (delusional or brilliant, you tell me) believe I can save the US Auto Industry with my idea. The idea is free for you to take and use. All I ask is that I get a free one of my choice one day. As I said, I am not going to simply drop the idea on you just like that. It would feel trivial I think. Or be misunderstood. You might make smarmy comments on my blog like "you idiot" or "that's the dumbest thing ever. Go die jerkboy." Stuff like that. Instead, in this first post, I'm going to layout a few ideas. You smarties out there will see where this is going straightaway. Feel free to use your car industry contacts to take the idea and make it happen. Since I have literally no statistics, I'm going to take the bloggers perogative and assume this is true for MOST (but not all) of us. If it is true, I'm already on the right track. Sure, lots of folks want high performance vehicles. But me, I just want something efficient that never breaks. My solution isn't for those of you who can afford $150,000 cars. Hell, it isn't for those of you who can afford $50,000 cars. The sort of performance we want is fuel economy and advanced cup holding technology. As I mentioned in a recent tweet, "my auto industry solution based on: It's a fact that U.S. Auto design has always been more about theater than innovation." I'll expand on this soon, but you already know it's true, don't you! Ok, more to come soon... if you can guess what my solution here is by leaving a comment, I'll give you a special prize. Yes, I'll tell you if you are right. I really do. I liked him in Alias and love him in Heroes. Never saw Felicity. I'm just hoping he doesn't get Sylar to come split my head open and steal any of my powers after reading this post. I've been following @greggrunberg on Twitter for a while now and really enjoy his updates. He seems like a normal, cool guy who happens to be an actor. I dig that about him. Just a few minutes ago, I spotted this update from him which promptly prompted me to write this post. I'm thrilled he has his own web site. I've had my own since God knows when and would never begrudge a celeb their own slice of cyberspace. Good on him. Good on him until I checked out his site that is. Hey! What happened to the @greggrunberg guy that I like to follow on Twitter? Why is it that I cannot find, no matter where I look a link to his Twitter account or any of the photos that I know he's linked to before? Here's a list of how his new site completely FAILS to match what he's doing so successfully on Twitter. Typical celebrity website filled with professional photography and slick flash effects FAIL. News section... ok, I'm hopeful as I click news, thinking of course, they are using Twitter to feed the news section, good idea! Nope. News = press releases. FAIL. I click "Grunny" section - this must be it.. the guy has his own section on his own site, cool... hmm.. a bit better I think but still, over produced garbage. And still no twitter feed. About Us section however is required, B+. Projects. Who cares, I already know, he's in Heroes and well, they already have an awesome site. Required though for any web site. B. Photos. Holy crap! I found buried way down in the midst of a crap load of photos a link called Grunny on Twitter (I knew he had linked to some photos). More photos taken by Grunny himself. Too many photos though and not enough that appear to be taken by Grunny and friends. B. In fact, here's my advice. Trash this piece of crap and go get a Wordpress blog. Make the blog and twitter the main homepage and bury the rest of the crap somewhere else. Lastly, why do I need to register for a site like this? The bare minimum required would be to please list some benefits of registering AND put in big bold letters that you won't sell my info, trade my info or give my info to anyone under any circumstances. FAIL, FAIL, FAIL. Nice try, you can do better (and your fans I think would appreciate it). Don't you love social media? The same rules apply to brands as do celebs and obnoxious bloggers... be consistent, be authentic and be open to criticsm. I've been participating in a new community focused on the immersive internet called ThinkBalm. We did an in-world "role-play" a few weeks ago that despite the usual and significant user issues, technology hurdles and confusion worked out pretty well. Erica Driver, the curator of the ThinkBalm community and a few community members (including me just a tiny bit) helped write a paper about the experience titled "Role-play redux: ‘Convince the curmudgeon.’” Visit the link to see more and download the pdf of the article. I continue to be fascinated by immersive worlds for many reasons but continue to struggle with their business applicability because of significant user interface issues, training and technology hurdles. Consider me an early adopter! Visit the ThinkBalm site to learn more about the community and getting involved.